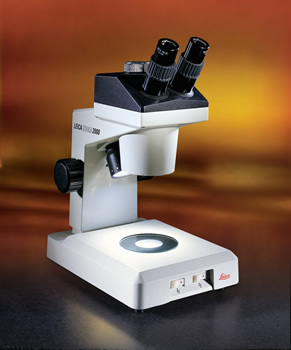 Leica microscopes and accessories are of excellent construction and durability Leica has a long running history of quality and high performance microscopes. 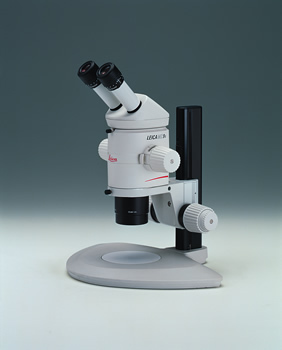 Most models are available in a variety of configurations with boom stands, trans-illuminated stands etc...A variety of accessories is available including objective lenses, ring lights, cameras, eyepieces to suite your needs. 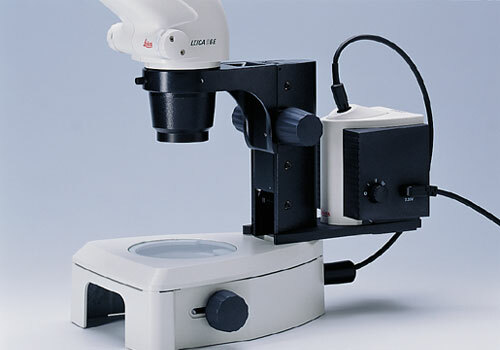 MS5 - with five-step magnification changer is a most flexible microscope. The MS5 is designed to provide ergonomic, fatigue-free working. 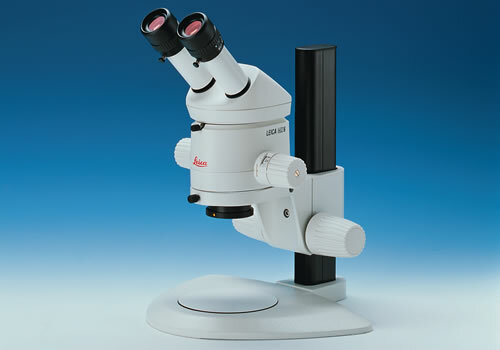 Magnifications up to 320x. Field diameters up to 104.2mm . Working distances of up to 297mm . Choice of achromatic, planachromatic and planapochromatic objectives. MZ APO - with 100% apochromatic correction throughout the image-forming optics. High performance makes it ideal for specialists involved in quality control, R & D, Medicine and biology. 10:1 zoom. Magnifications to 512x. Resolution to 600 line-pairs / mm. The entire imaging system is apochromatically corrected. Planapochromatic objectives correct the field, so that flat objects are imaged uniformly flat within the entire field of view. 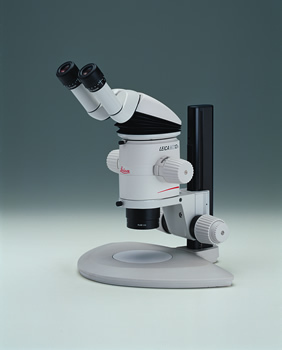 MZ 12.5 - stereomicroscope with 12.5:1 zoom provides crisp, clear and sharp images. Bright and sharp, even the smallest features reveal the most minute detail. 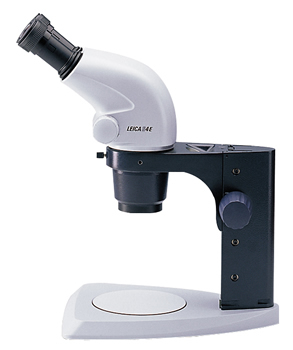 High-performance stereomicroscope with 12.5:1 zoom. Magnifications up to 640x. 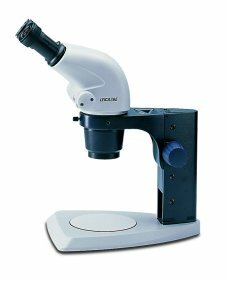 Resolution up to 600 line-pairs / mm. Motor focus for repetitive tasks. 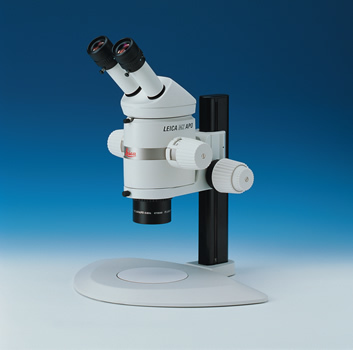 MZ 9.5 - high-performance stereomicroscope features an advantageous 9.5:1 zoom ratio and magnifications up to 480x. The high resolution up to 300 line pairs per millimeter, extremely high image contrast and amazing sharpness offer the ultimate in image fidelity and data transfer for critical inspection applications. 9.5 : 1 zoom. 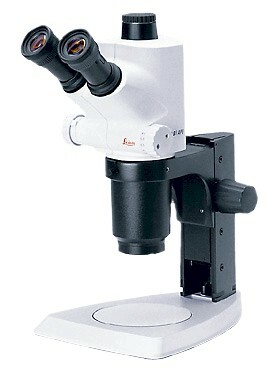 Magnification up to 480x. Resolution up to 600line-pairs / mm. Field diameter up to 104mm. Motor focus for repetitive tasks. 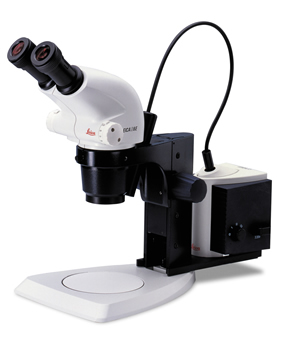 ZOOM 2000: The Zoom 2000 is an ideal stereo zoom microscope for training and classroom use. 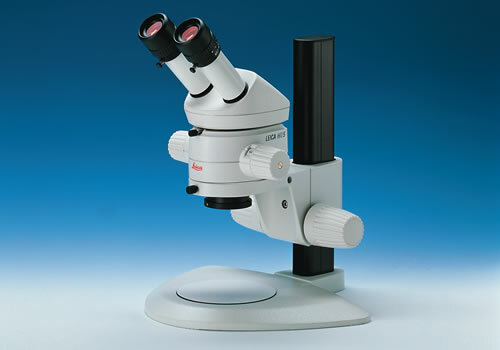 It provides excellent image quality, rugged construction and a tamperproof design to provide years of trouble free use. Three way illumination system, transmitted, reflected or both at the same time. Two standard models 7x-30x and 10.5x-40x. 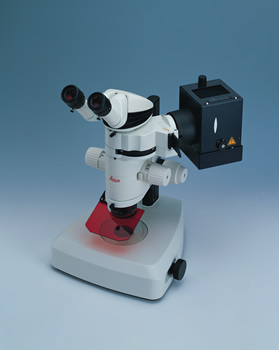 The L2 Cold Light Source is bright, compact in design and mounted on the stand to provide un-interupted access to the microscope. Standard lighting with one or two armed light guides. Constant color temp of 3200degrees K. Long life bulb. No noise or vibration during operation. Attachments for coaxial, vertical, and transmitted lighting are available.